Have a look behind the curtain and see for yourself the build quality, technology, modularity, and customizability of WARDJet Waterjets. Our passion for waterjet cutting and continued innovation allows us to remain transparent about our engineering and manufacturing. 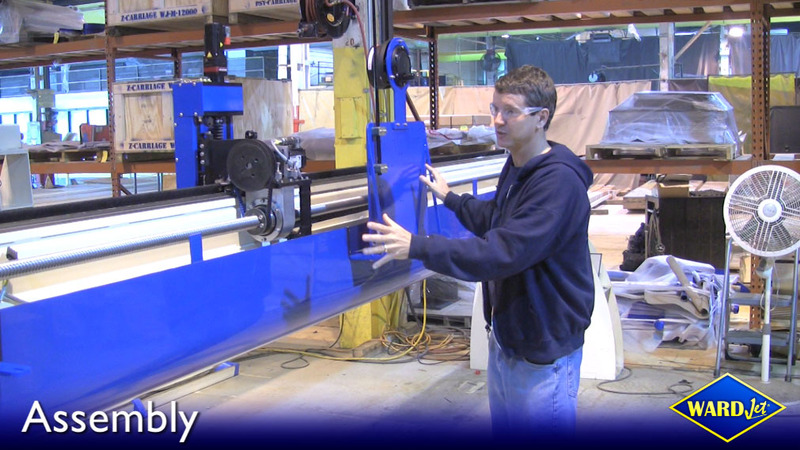 Visit the WARDJet Waterjet Blog to watch the video. Requires the latest version of adobe flash player. WARDJet's focus is on setting business owners' imaginations free when it comes to the automation of almost anything. WARDJet's goal has been to design and build a CNC waterjet gantry that would be recognized as the leading waterjet cutting platform in the industry, yet be sturdy, stable and rigid enough to be considered the most versatile automation platform ever available to consumers. • Is Your Waterjet Large Enough to Cut a Car?